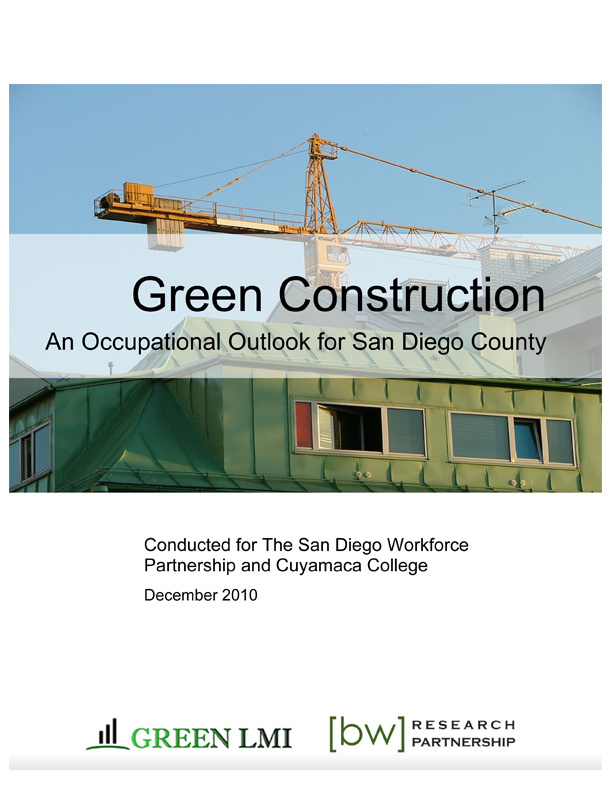 Green Construction: An Occupational Outlook for San Diego County examines the growing demand for green construction workers and identifies the training these workers will need to be successful in the field. San Diego County has lost nearly 40,000 construction jobs in the last five years, only one-third of which are expected to return by 2015, while “green construction” jobs are expected to grow at an above average rate. Small Business Survey assesses awareness of one-stop career centers in San Diego County; identifies methods of recruiting new employees and use of outside agencies for assistance with finding and developing qualified workers; seeks to understand small businesses’ current workforce challenges; develops a profile of private-sector small businesses in San Diego County; and evaluates awareness and perception of the San Diego Workforce Partnership.